Very convenient to book thru klook. No need to queue at the entrance, just scanned and passed. Will definitely use the service again. If you want to get to know more about the history and culture of a city, start by visiting their local museum! When in Taiwan, the National Palace Museum is one of the must-see attractions in the city. 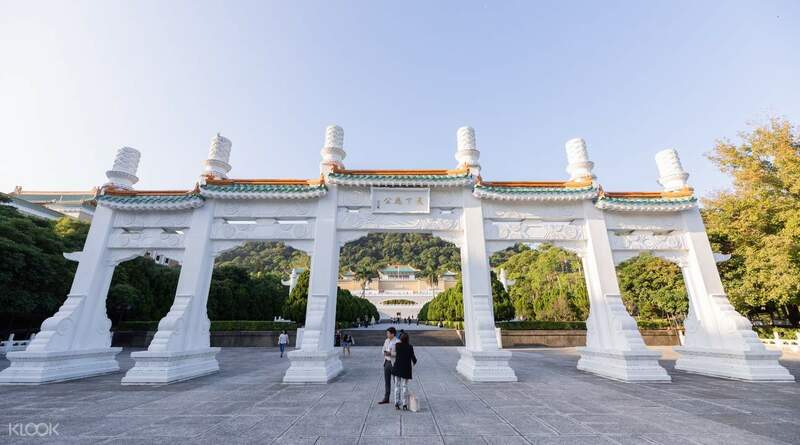 This Palace Museum ticket allows you to get access to the National Palace Museum in Taipei and Chiayi. Explore this local museum that holds treasures of cultural relics dating back to almost 5,000 years. Here, you will have the opportunity to witness the treasures of the three major town halls, including "Music Stone," "Kiyuyu Cabbage," and "Mao Gongding". Of course, the Chiayi National Palace Museum is also worth a visit. It holds fine collections of porcelain, Buddhist scriptures, caliigraphy and paininting. While your appreciating the country's rich culture and history, you may also want to roam around the museum's recreational areas such as artificial wetlands, tropical gardens, and waterfront stage. A visit to this Chinese cultural treasure will definitely make your trip worthwhile! Flilled with a variety of fascinating exhibits, this is one of the must-visit attractions in Taipei! The museum regularly updates its exhibits, so you're sure to discover something new each time! You can enter the National Palace Museum with E-ticket, but still I printed my vouchers (in case my phone malfunctioned during admission). They only allow you to bring in small bags that are not larger than A4 size (They even provide a photo guide for you to compare your bags with the "A4 size". How nice. Haha). I left my bags in the lockers provided next to the main hall entrance. Insert a NTD10 coin into the opening of the locker, and you'll be able to lock your locker. Once you've done using it by the end of the day, just open the locker and get back your coin xD Since the tickets are only for single admission, they will stamp on your hand with a "glow in the dark" fluorescent ink just in case you wanted to re-enter the museum multiple times. No drinks were allowed into the museum. But they provide water filter around the museum with flat paper cups. My first time drinking from a flat paper cup. Need some skill for that Overall a good experience for me. Easy redemption, skip the queues and have a fun visit in National Museum! You can enter the National Palace Museum with E-ticket, but still I printed my vouchers (in case my phone malfunctioned during admission). They only allow you to bring in small bags that are not larger than A4 size (They even provide a photo guide for you to compare your bags with the "A4 size". How nice. Haha). I left my bags in the lockers provided next to the main hall entrance. Insert a NTD10 coin into the opening of the locker, and you'll be able to lock your locker. Once you've done using it by the end of the day, just open the locker and get back your coin xD Since the tickets are only for single admission, they will stamp on your hand with a "glow in the dark" fluorescent ink just in case you wanted to re-enter the museum multiple times. No drinks were allowed into the museum. But they provide water filter around the museum with flat paper cups. My first time drinking from a flat paper cup. Need some skill for that Overall a good experience for me. Easy redemption, skip the queues and have a fun visit in National Museum! The National Palace is just a bus away from Shilin station. The area is very big. Make sure you wear comfy shoes and get ready to walk. the museum contains a lot of artifacts but during my visit I was certainly distracted by other tourists in groups because they were a little bit noisy inside the museum. I would really appreciate the art if there were only a few visitors. But overall the visit was good. The National Palace is just a bus away from Shilin station. The area is very big. Make sure you wear comfy shoes and get ready to walk. the museum contains a lot of artifacts but during my visit I was certainly distracted by other tourists in groups because they were a little bit noisy inside the museum. I would really appreciate the art if there were only a few visitors. But overall the visit was good. I mistakenly bought the combined one with the Shung Ye Museum cos I thought I could visit both but changed my mind at the last minute. So I bought a new one, requested for a refund and was promptly refunded within 2 days. Great service Klook! As for the ticket to NPM, it was a hassle free experience. I took the bus from near to Shilin MRT n was let in after a quick scan. The museum is nice even when it’s crowded. It’s a privilege to see so many valuable and important artifacts from China. I love the baby pillow. I mistakenly bought the combined one with the Shung Ye Museum cos I thought I could visit both but changed my mind at the last minute. So I bought a new one, requested for a refund and was promptly refunded within 2 days. Great service Klook! As for the ticket to NPM, it was a hassle free experience. I took the bus from near to Shilin MRT n was let in after a quick scan. The museum is nice even when it’s crowded. It’s a privilege to see so many valuable and important artifacts from China. I love the baby pillow. 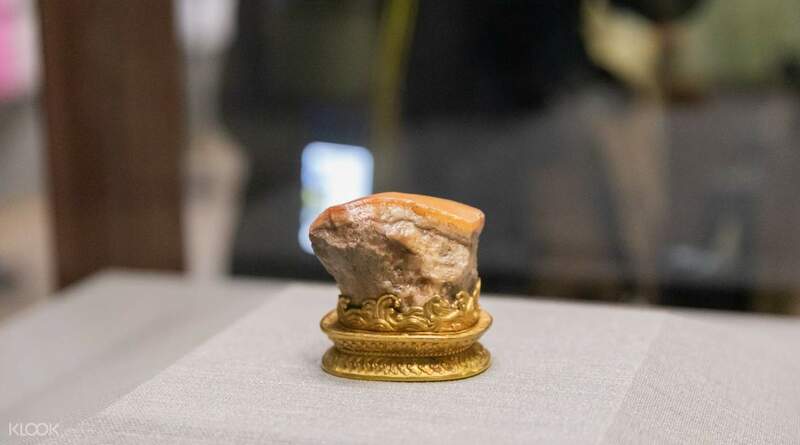 National Palace Museum is the best museum I have seen so far, although the Meat-shaped Stone and Jadeite Cabbage were not there (because they were sent to Taichung for a Festival) still it was a wonderful experience to see China's precious treasures. Thank you Klook for the hassle free and no-need-to-queue experience ! National Palace Museum is the best museum I have seen so far, although the Meat-shaped Stone and Jadeite Cabbage were not there (because they were sent to Taichung for a Festival) still it was a wonderful experience to see China's precious treasures. Thank you Klook for the hassle free and no-need-to-queue experience ! The National Palace Museum has a charming front and garden. The Museum possesses an array of exquisite treasures, from artifacts to literary compositions, acquired from hundreds of years ago. It was a delight to have learnt about the history of Taiwan. Allot at least 3 hours to roam the place and arrive in the early hours to avoid the crowd and some discourteous tour groups. The famed tourist attraction is ideally accessible. Thanks to Klook for the hassle-free admission. 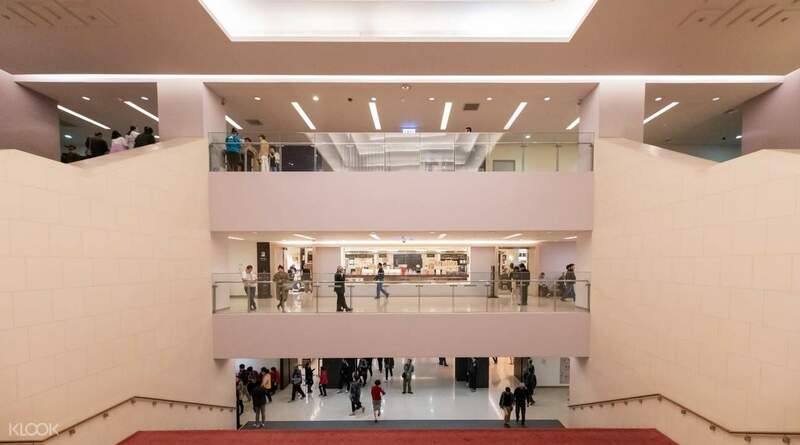 Just proceed to the middle entrance of the lobby which avoids the queue for the payment of entrance tickets and have your voucher code scanned. Leave your backpacks and food in the locker room they have provided. The National Palace Museum has a charming front and garden. The Museum possesses an array of exquisite treasures, from artifacts to literary compositions, acquired from hundreds of years ago. It was a delight to have learnt about the history of Taiwan. Allot at least 3 hours to roam the place and arrive in the early hours to avoid the crowd and some discourteous tour groups. The famed tourist attraction is ideally accessible. Thanks to Klook for the hassle-free admission. Just proceed to the middle entrance of the lobby which avoids the queue for the payment of entrance tickets and have your voucher code scanned. Leave your backpacks and food in the locker room they have provided. 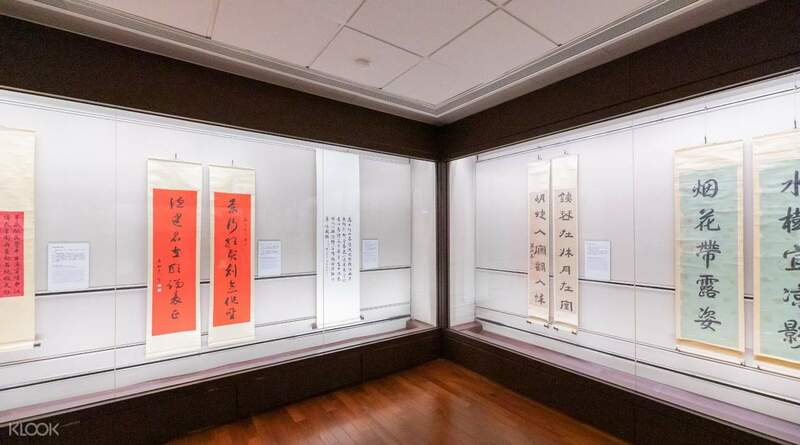 A truly magnificent curation of Chinese history. Be sure to plan at least a half day at the museum as there are plenty of exhibits to see. Recommend getting the e-audio tour as well or by joining an actual tour. A truly magnificent curation of Chinese history. Be sure to plan at least a half day at the museum as there are plenty of exhibits to see. Recommend getting the e-audio tour as well or by joining an actual tour. Easy to redeem, hassle free. I don’t have to squeeze in the line. Just have to show the code directly at the line. The museum have the great treasures.. i really like the exhibit and with all its descriptions. Tho you can pay for audio guide.. or be with the free English guide on time schedule. Easy to redeem, hassle free. I don’t have to squeeze in the line. Just have to show the code directly at the line. The museum have the great treasures.. i really like the exhibit and with all its descriptions. Tho you can pay for audio guide.. or be with the free English guide on time schedule. 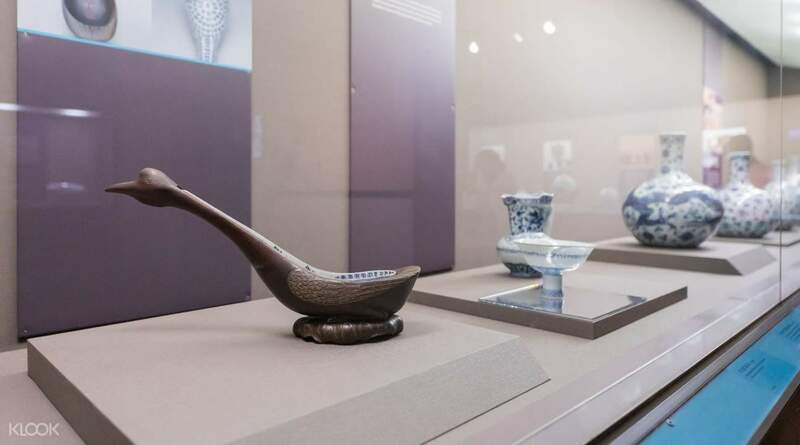 Great museum with a huge collection of historical memorabilias from several dynasties, especially from QING dynasty, when the qualification and skills of the artisans under that dynasty reached the highest level. Museum also provide audio instruction at $150 for single tourists. Absolutely recommend! 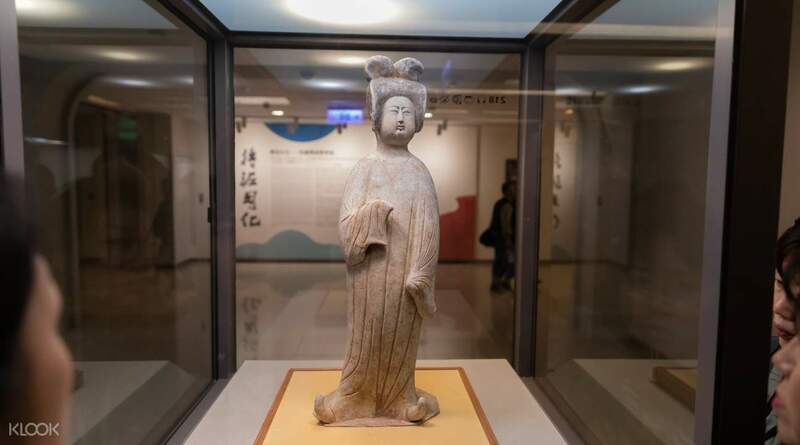 Great museum with a huge collection of historical memorabilias from several dynasties, especially from QING dynasty, when the qualification and skills of the artisans under that dynasty reached the highest level. Museum also provide audio instruction at $150 for single tourists. Absolutely recommend! What a great way to start our Taiwan adventure! This was the first stop in our itinerary. The national palace is so beautiful outside. The green garden, the white palace and the blue sky were such a feast to the eyes! Thanks Klook for the hassle free pass! No need to queue! They just scan the bar code. What a great way to start our Taiwan adventure! This was the first stop in our itinerary. The national palace is so beautiful outside. The green garden, the white palace and the blue sky were such a feast to the eyes! Thanks Klook for the hassle free pass! No need to queue! They just scan the bar code. Just need to scan the QR barcode (with green color dot at the QR barcode center) at the entrance. Fast and easy. Total 3 floors and try to be there earlier to avoid the crowd. There is post office at the basement which you can buy stamp album and stamps there. Bus from Shilin MRT to here is about 10-15mins. Just need to scan the QR barcode (with green color dot at the QR barcode center) at the entrance. Fast and easy. Total 3 floors and try to be there earlier to avoid the crowd. There is post office at the basement which you can buy stamp album and stamps there. Bus from Shilin MRT to here is about 10-15mins.